Not all smart home devices require modifications to your home itself. In some cases, you may even be able to make minor modifications to your home with your landlord’s approval. We’ll break down the easiest options first, then move on to the gadgets you might be able to install with a little help from the owner. Nothing’s quite as cool as controlling your smart home gadgets with your voice. Walking into a room and asking Alexa or Google to turn on the lights, or telling it to turn everything off when you go to bed is what makes having a smart home worthwhile. 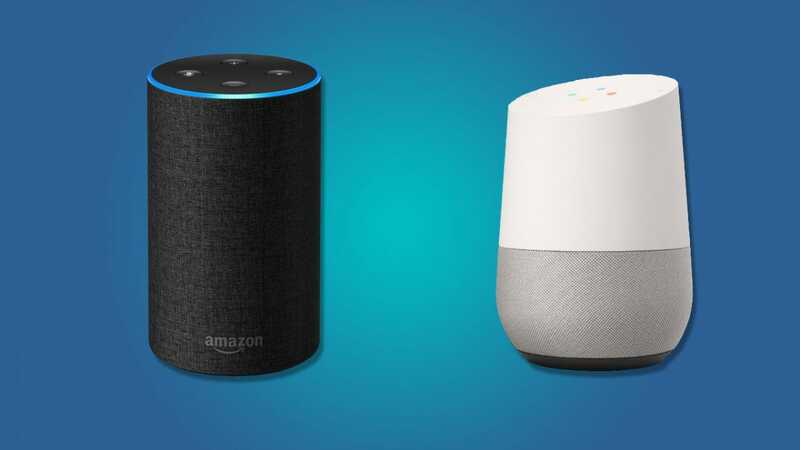 While Microsoft and Apple both offer some form of smart speakers, it’s Amazon and Google that are leading the pack in supported smart gadgets. Which one is best for you can come down largely to personal preference, but both are a solid start to your smart home. First up, there’s the Amazon Echo lineup. If you want a smart speaker with some great speakers for playing music, the 2nd generation full-size Amazon Echo ($100) is a great fit. To fill out the rest of the rooms in your home that don’t need high quality music, you can get the Echo Dot to field your voice commands. The Dot starts at $50, but it frequently goes on sale for $30-40 each, so you’re better off waiting for a deal. On Google’s side of things, the choices are remarkably similar. The full-size Google Home is priced at $130. Like the larger Echo, it comes with some robust speakers to fill the room with music. For smaller rooms that don’t need to play crisp audio, the Google Home Mini costs $50. Like the Echo Dot, the Google Home Mini frequently goes on sale, so if you need to buy a few, wait for a sale and then stock up. Smart lights are one of the coolest ways to trick out your smart home without spending a fortune. 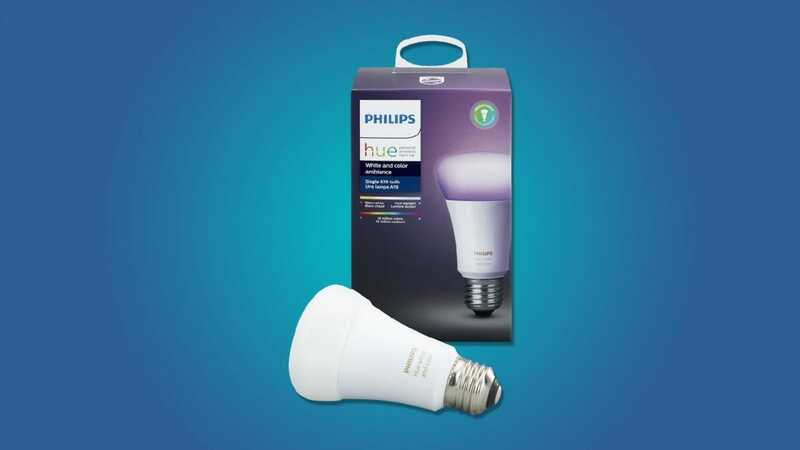 In our experience, Philips Hue is the best, most complete system for smart lights. 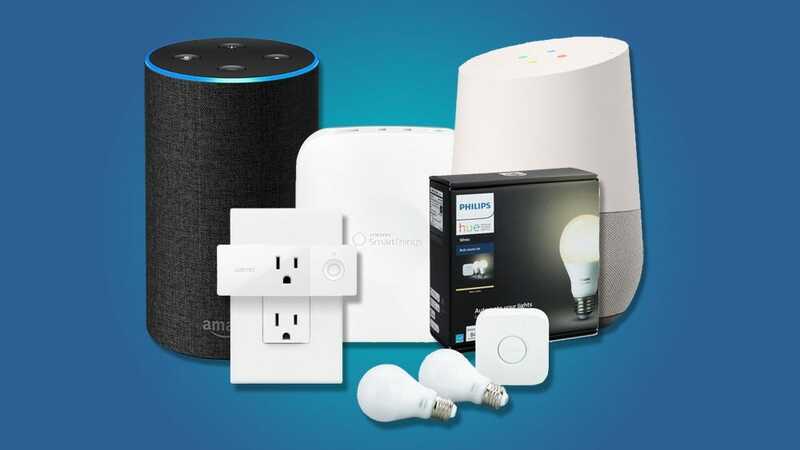 You’ll need a Starter Kit ($69) that comes with a hub, but once you have that, you can add new bulbs to virtually any existing socket in your house and immediately control it from your phone or with your voice assistant. Basic white bulbs can cost as little as $11 a piece when you buy them in a group. If you want bulbs with a little (or a lot) more color, you can get the White Ambiance bulbs that let you adjust the color temperature, or Color Ambiance bulbs that let you choose any color in the rainbow to light your room with. If you really want to get crazy, Philips has some specialty lights, like the LightStrip that you can put on the back of your TV for some smart bias lighting. Some devices that aren’t very smart themselves could still use some smart home magic. For example, wouldn’t it be nice if your Christmas lights could turn themselves on and off to a schedule? The Belkin WeMo Mini Smart Plug ($30) can help with that. 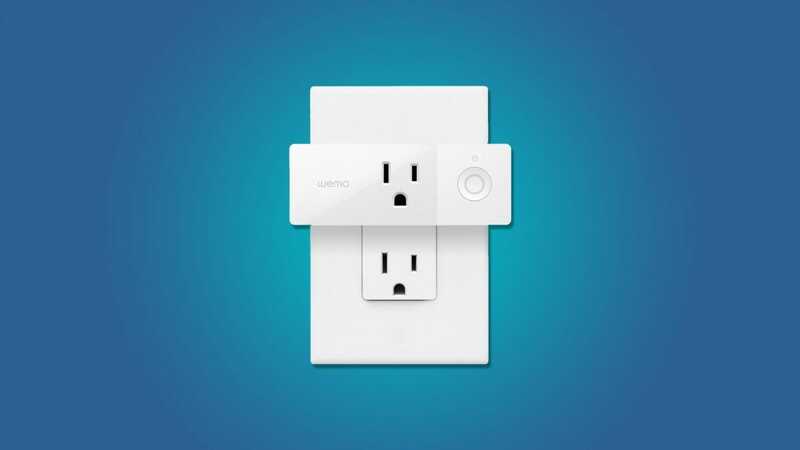 This little device plugs into your existing electrical outlet, connects to Wi-Fi, and can be controlled from your phone, voice assistant, or even by an automated schedule. The Mini Smart Plug takes up a minimal amount of space so they don’t block off other outlets. On the front, you’ll plug in the power cord for whatever device you want to control. Keep in mind, the Smart Plug can only turn a device on and off. It can’t control any specific functions of a device, so you won’t want to use this for anything complex. Still, for lights, fans, and other simple gadgets, it’s an excellent solution. With the Samsung Smart Things kit, you can do all kinds of creative things. A motion sensor can turn your kitchen lights on when you stumble in for a midnight snack. A door sensor could notify you if the kids get into a cabinet they’re not supposed to. A water leak sensor can let you know before a leak becomes indoor flooding. 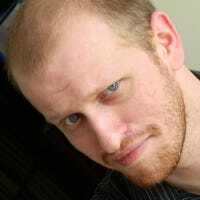 You can also use third-party services like IFTTT to do even more. All of these are possible by connecting to the Samsung Smart Things hub. 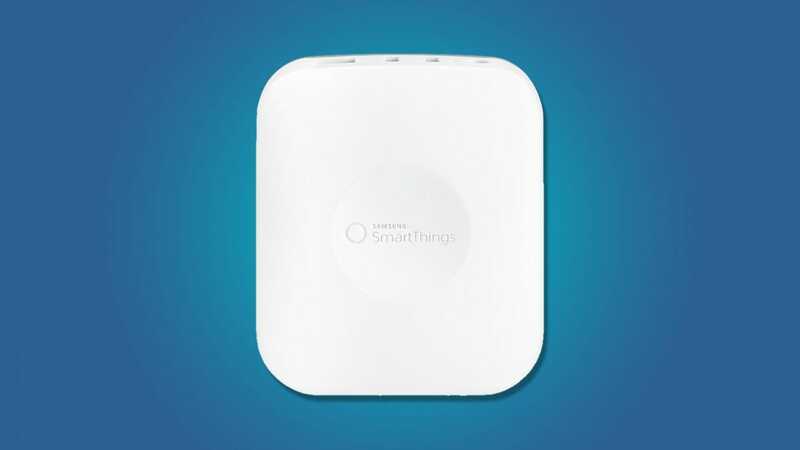 The hub itself costs $100, but you can find bundles with things like motion sensors for just a little more. The whole kit is among the most expensive systems you could set up (right up there with a fully decked out Philips Hue home), but the flexibility you get with a wide array of sensors is more than worth it. 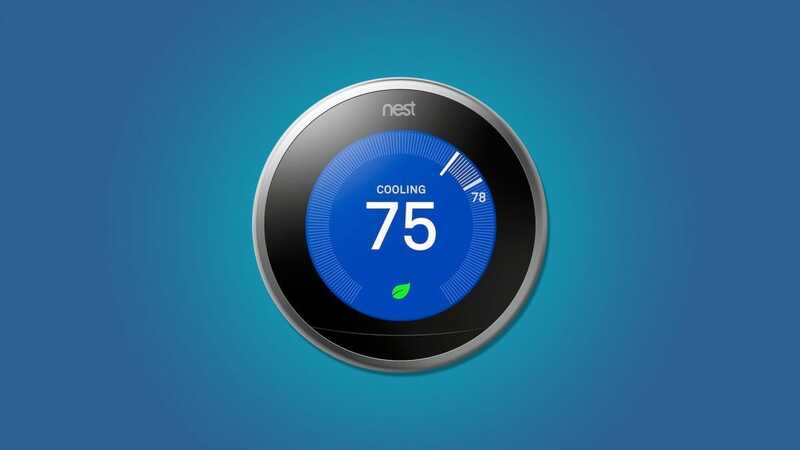 You can also control the Nest Thermostat from Alexa or Google Assistant with simple voice commands. If you want to adjust the temperature, switch between heating and air, or just find out what the temperature is currently set to, you can do so from your phone or by talking to your smart speaker. If there’s one thing on this list you’re gonna have a hard time getting past your landlord, it’s probably this. Most renters don’t want you changing the locks because, in most cases, changing the locks means changing the keys as well. However, if you have a really cool landlord, they might let you install the August Smart Lock ($220). Why? Because it only replaces the inside knob and doesn’t involve re-keying or changing the outside at all. 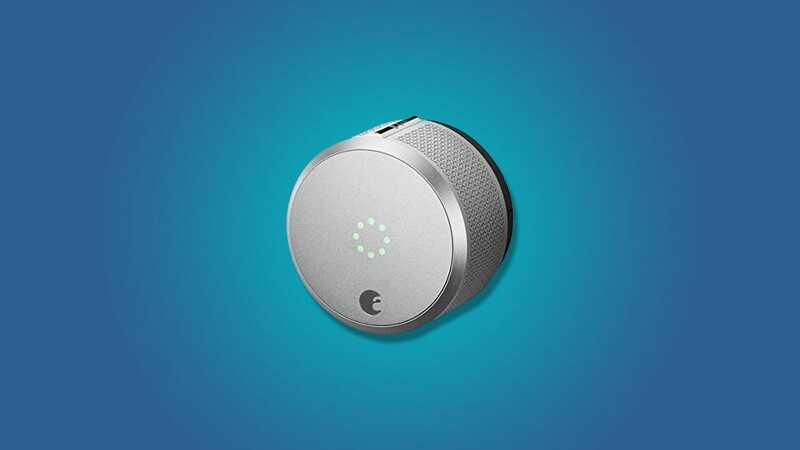 The August Smart Lock lets you lock and unlock your door with your phone or even a voice command. You can give other users temporary access that expires after a set period of time or a set number of user, and even get a log of who’s coming and going, and when. If you can explain to your landlord why these are useful features that won’t impede their legal right to gain entry to the rental when they need to, you might be able to swing this handy upgrade. At Review Geek, we’re big fans of 4K TVs and with good reason: home media has never looked better. But do you know what’s better again than watching things at home on your 4K TV? Going to the cinema. Don’t believe me? Read on. For the majority of campers, a three-season bag is a perfect fit. We’ve rounded up great bags for all budgets so you can sleep in comfort and style.